***Ship Wrecked: Stranded on an alien world by Mark Wayne McGinnis. Price: Free. Genre: Science Fiction, Metaphysical & Visionary, First Contact. Rated: 4.6 stars on 455 Reviews. 366 pages. ASIN: B0788THR27. *The Seventh Guard: Destiny Expires (Deal, Not Free) by Francis Halpin, Andrew Durkin. Price: $0.99. 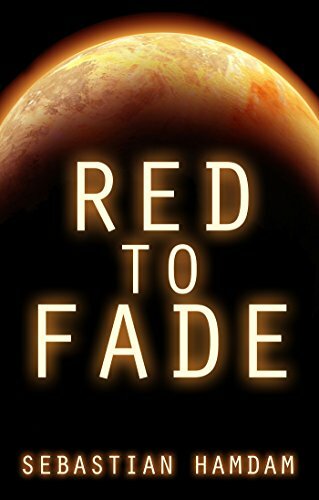 Genre: Science Fiction Deal, Sponsor, A Mysterious Message, A Disgruntled Man Compelled to Follow it, A Worthy Addition to the SciFi Genre. Rated: 5 stars on 1 Reviews344 pages. ASIN: B07FR8DVJK. *Gemini Gambit (Deal, Not Free) by D Johnson. Price: Free. Genre: Science Fiction Adventure, Sponsor, Virtual Reality. Rated: 4.7 stars on 16 Reviews. 454 pages. ASIN: B00TZABEII. ***Voice of the Chosen (Spirit of Empire Book 3) by Lawrence White. Price: Free. Genre: Science Fiction, First Contact, Space Opera. Rated: 4.7 stars on 164 Reviews. 435 pages. ASIN: B007YLFYIG. *Zombie Planet by Anthony Crafts. Price: Free. Genre: First Contact Science Fiction. Rated: 5 stars on 4 Reviews. 127 pages. ASIN: B07D5MHG35. *Gemini Gambit (Deal, Not Free) by D Johnson. Price: Free. Genre: Science Fiction, Sponsor, Well Thought Out with Good World Building. Rated: 4.7 stars on 16 Reviews. 454 pages. ASIN: B00TZABEII. ***Voodoo Plague (Repeat) by Dirk Patton. Price: Free. Genre: Science Fiction, Post-Apocalyptic. Rated: 4.6 stars on 674 Reviews. 339 pages. ASIN: B00H27GOVS. **Backtrack (Repeat) by Fred Covitz. Price: Free. Genre: Science Fiction, Time Travel, Action & Adventure. Rated: 4.5 stars on 58 Reviews. 383 pages. ASIN: B007AUY1EE.